Heroes: Ordinary People with Extraordinary Powers! Heroes is an American series which aired during 2006-07. Each episode every week use to take my breath away. 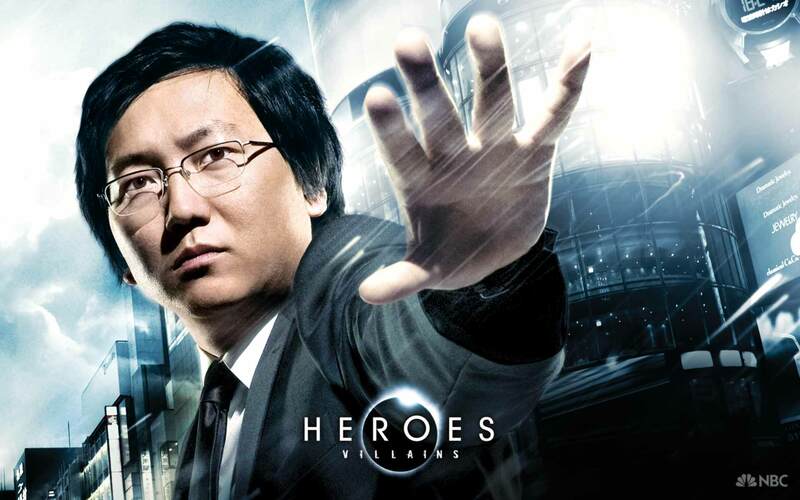 Heroes is back after nine years as Heroes Reborn. And this is when I felt nostalgic and decided to re-watch the first original season of Heroes. And damn I realized it was more awesome then I initially thought. This article is an account of my views about the breathtaking original season of the show. What made Heroes Season 1 Special? It is where it started it all. A group of people from all around the world started discovering that they have powers. Claire, a 16 year old girl from Odessa, Texas, could heal herself after an injury of any extent, an ability known as Rapid cellular regeneration. Matt Parkman, a man from Los Angeles could read minds. Nathan Petrelli, coming from New York could fly. Niki Sanders from Las Vegas, had Dissociative Identity Disorder, that means she was two person in one. D.L. Hawkins, husband of Niki, could pass through walls. 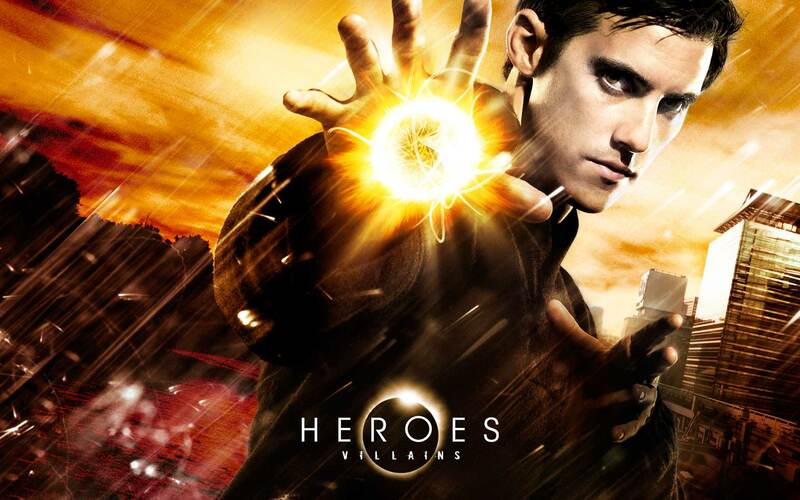 Peter Petrelli, brother of Nathan, could absorb powers from others and could do Anything! My favorite, Hiro Nakamura, could bend Time and Space, which means he could Travel in time. And then there was… Sylar! Like Peter, Sylar could absorb power from others too, but in order to do that, he had to murder the other person and eat(?) their brain. Its as disgusting as it sounds. There were other smaller characters with powers too. And all of them together had one role, that is to stop Sylar destroying New York. Season 1 was great. It slowly opened up the lives of people with extraordinary abilities and their reaction to it, while their lives crossed one another. And by the end each of the characters had some part to play. The story telling by the creator of the show, Tim Kring had a unique style in portraying the story and the character development. On the pretext of the power of time travel with Hiro, Kring use to take us to past and future in a blink of eye, thereby giving us glimpses of the story which would otherwise take many episodes to reach. Hiro is shown to have teleported to New York from within metro train in Japan. As soon as Hiro realize this and he reaches Time Square, he flung his arm in air and explains, “Yattaaaa!!! !” Everytime I see it, and in hindsight realizing what story is to be followed, sends shivers down my spine. Even watching Season 1 now, makes me think, that they had a plan. The first few episodes tells what exactly will happen. Rest of the season is just to answer, “how”. And boy does this season does that brilliantly. In comparison to the first season I would not even want to talk about the rest of the season. So I would just summarize the rest of the season here. Several characters are introduced. Origins of “The Company” is revealed and something about a virus named “Shanti” threatens to kill most of human population. 12 bad guys are escaped and hunt begins.. and something something. Something I don’t even remember. And if I even remember somehow, I would probably want to forget. Looking at the first episode of Awakening, it made me realize how great the Genesis was. So much so that I had to watch the Season one in its entirety to be dazzled again. But I am hoping later episodes can create that awe that original Heroes started. Although I am very skeptical. Coming back to Heroes first season, it seemed that it had a vision, and it had a sense of completeness. Right from episode 2, we knew how it was going to end. Every character arc was handheld maturely. Every character’s role was defined. Season one wasn’t pretentious. Every episode was allocated to unfold story arcs of a set of people. And when character used to cross paths, we knew it hold a pretty significant importance. The journey of Heroes season 1 and not just the climax was a ride into a world I can probably never forget. The characters in the original stories represented a wide variety of audience and was very balanced. On one end of spectrum we had a girl with dual personality – a rather dark tone, and a jolly Hiro Nakamura on the other end, with an ability that every one must have thought about when they were a child. At one end we had a man who was very doubtful about his ability to hear thoughts, and on the opposite end was a man who was confident about his ability to fly. At one end was a man who could absorb others power and still remain true by heart and on the extreme end was a man that could murder anyone for the lust of power. But midst all of these people with powers, there were people with no supernatural power at all. And what this show makes it interesting that those people are no less significant. One of the best thing about the original Heroes is the storytelling. Yes, it had flaws. But the writers knew what they were doing and Tim Kring knew how to present the story in the most enthralling manner. To show the climax of the show in just the 2nd episode, sets a standard and the show actually stays put to it. The later seasons were met with bumpy roads and bigger plot holes. Many blame the writer’s strike that happened during later seasons but we may never know the actual cause. The effects in the show were practical, short but believable, subtle yet had an impact. The focus of the show was more on story than CGI, and hence CGI used was rather sparingly and wisely. For instance, when you have to show that someone was flying, you get the shots of building, panning and going up and down the streets. It makes ‘you’ imagine that you are flying. When Hiro needed to travel in time, the character just disappears and appears where it’s supposed to. Just like it would actually be for any Time Traveler who could travel in time just by thinking. The show didn’t need some flashy effects to show that. The use of paintings to show future (and past) was another practical effect that made the show memorable. You can use a painting to show as much or as little about the things to come in the show. As a viewer whenever you saw a new painting and the revelation which it brought, you were dazzled since you knew that its about to happen in near future. And don’t even get me started with the half helix symbol that if you can notice throughout the show. This is probably the MOST important thing that makes the original Heroes memorable to me. Tim Kring gave the music directors total freedom to write music. And I must say the composers did a phenomenal job. Every character have its own signature style of music. 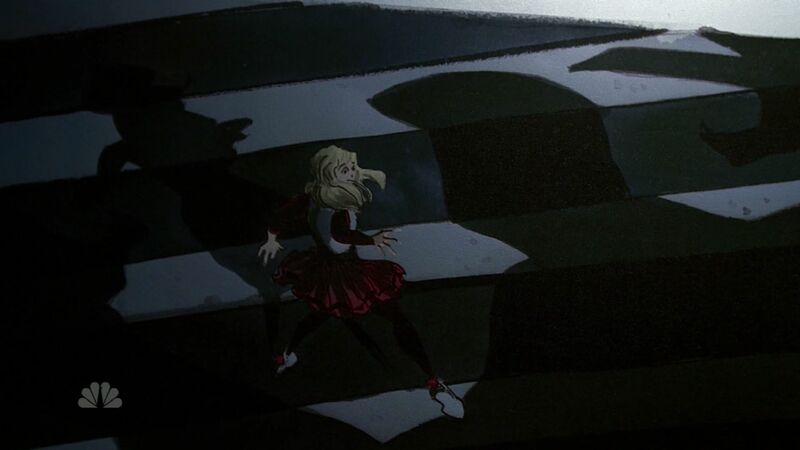 Claire have a “dreamy” cue which shows the doubts and confusion that Claire have while she explores the extent of her abilities. Sylar had this distinct sounds of clock’s ticking to show how he have a knack to understand how things work like he use to understand and fix the complicated clockwork. Niki had a soundtrack that use to change to wind and Indian voices when Jessica use to take control to make viewers believe about her being possessed. Matt, who could read minds use to be depicted by voices in reverse. Hiro had a style of music that showcased an “urgency” and a sense of “unpredictability”. So on and so forth. Combined with other soundtracks of the show, makes for a pleasant visual cues that made us more aware of the show. Needless to say Music was a very own character in the show. The start of almost ever Heroes episode began with a monologue and/or end with too. And most of the monologue was done by a character on the show who had no powers. Yet he was connected to almost every other character. This is Mohinder Suresh, a genetics professor from India who wanted to carry on the work of his father, Chandra Suresh. The monologue use to raise mostly philosophical questions. It use to tie every character under common emotion and use to help them connect on a spiritual level. The narration sometimes were also done by other characters, which would play a crucial role in the respective episodes. Heroes is a tale of Superheroes, survival, courage, and friendship. Heroes have a grave impact on my way of thinking. And when I re-watched the original series it grew over me. I realized the depth of characters more than what I knew when I watched it almost 8 years ago. And I hope Heroes Reborn do justice with the spirit of original Heroes. There’s so much to talk about this show.. but probably later. 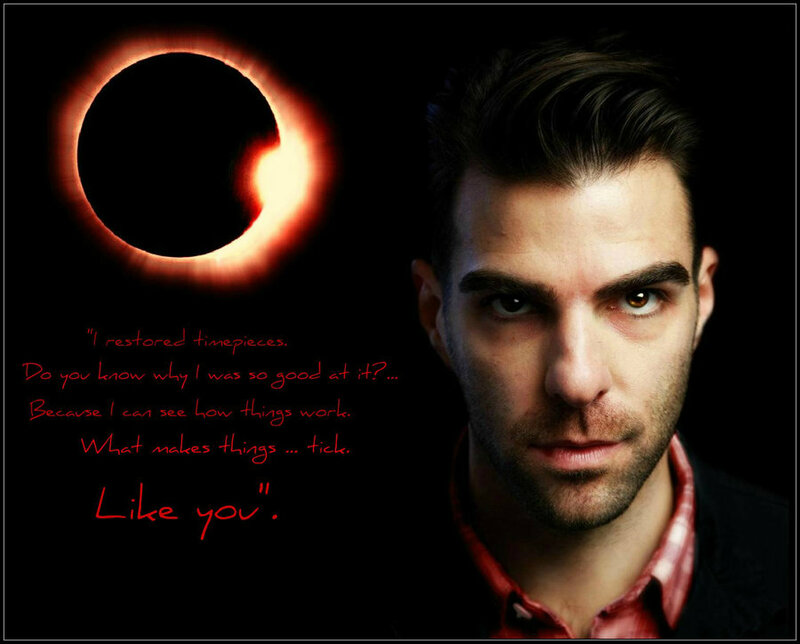 For the time being I will end this article with this quote from Sylar… the greatest villain of all time.